Rome, 21 December 2016 – ASTALDI and MUSKRAT FALLS CORPORATION, A SUBSIDIARY OF NALCOR ENERGY, announced they have negotiated terms for an agreement to complete the construction of the powerhouse and intake civil works for the Muskrat Falls Hydroelectric Project in the Province of Newfoundland and Labrador, Canada. All disputes and outstanding commercial items have been addressed. The terms of the completion agreement are subject to customary approvals and conditions. The agreement increases the contract value to CAD 1830 million, and sets a new date for the completion of the works that is in alignment with Muskrat Falls Corporation’s current completion schedule for the Muskrat Falls Hydroelectric Project. Phase One of the Lower Churchill Project is referred to as the Muskrat Falls Project. This includes an 824 megawatt hydroelectric generating facility at Muskrat Falls, Labrador in the Province of Newfoundland and Labrador, Canada. 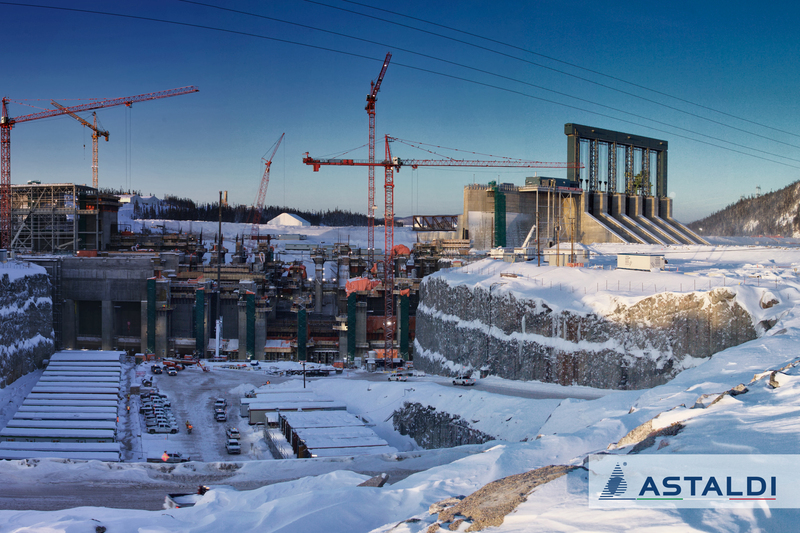 Astaldi is responsible for the construction of the powerhouse, intake and spillway civil works for the Muskrat Falls generation facility.